The concept for Copper Innovations was conceived in the early 2000's. During that time I was doing business as Architech Roofing, a” high end” roofing company specializing in all facets of roofing from shingle and slate to cedar and tile. Through the years, as a roofing contractor, I noticed a growing number of homes being designed with a European style country theme, with many copper accents being added. Having a background in metal fabrication and a passion for art, I decided that this was an excellent opportunity to create my own line of architectural copper accents. As a result, in 2004 I started Copper Innovations Inc., fabricating these copper items as needed, for the roofing projects we were currently doing. Due to the high quality and low cost products we started offering; local builders and homeowners began requesting our copper items directly from us. As the demand grew for our copper items I began investing more time & energy on the fabrication and design aspects. Integrity, knowledge of the products, reputation and long-term relationships quickly enabled us to begin turning over products on a regular basis. It is these attributions that became the building blocks of Copper Innovations, Inc. As a metal artisan my true enjoyment comes from the love and desire for creating unique and practical designs. When a client has an original idea of something they would like to have created, we work very closely with them. We can fabricate almost any custom architectural item to your design and specifications. 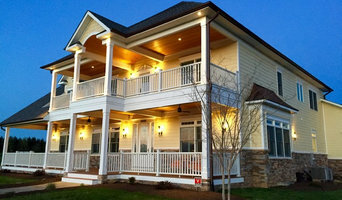 Having a CAD designer on staff gives us the ability to work with the homeowner, designer, architect or builder directly. Whether it be in person, via the internet, or by phone conversations; let us help make your visions a reality. Copper Innovations, Inc would like to thank all of our customers for their continued trust. As a result, we will be able to continue producing quality products for years to come. Home-Build Concierge, Inc. is the cost-saving concierge solution for discerning homeowners who don't have the time or expertise to build a custom home on their own. With over 25 years of project management experience and 20 years of building custom homes, Home-Build Concierge has the experience you need to get your dream home built your way with minimal stress. From our vast network of trusted professionals, we have selected premier partners that are uniquely qualified for your project including architects, builders, designers, lenders, Realtors®, and specialty contractors to bring you the best in custom homes and renovations while managing the process to suit your lifestyle and budget. Of course, we will work with you to find the best solution for your project and are happy to work with your preferred builders and contractors as well. The Home-Build Concierge name and logo are registered trademarks of Home-Build Concierge. Blue Ridge Energy Works is a North Carolina general contractor that specializes in energy efficiency and renewable energy. 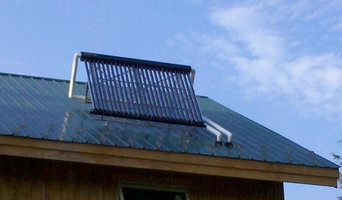 We formed in 2007 from a desire to install the highest quality renewable energy and energy efficiency products. 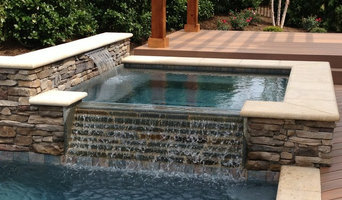 We are Charlotte, NC only Master Pools Guild, builder. Specializing in custom concrete pools and spas. We salvage and dismantle vintage structures and produce a variety of products from the reclaimed wood, including flooring, paneling, wanescoting, entry doors, tables, and countertops. We can also supply you with hand-hewn beams, barn boards, antique tin, stall doors and more. Don't see what you're looking for listed here? Give us a call -- chances are we can help! Water Feature installation and re-build. Monthly, Quarterly, Bi-annuals and Annual maintenance. Repair Work. Charlotte Locksmith is a family owned and operated business. Charlotte Locksmith Company is a provider of local Locksmith services for residential, commercial, and automotive locksmith services needed in Charlotte, NC locksmith and security services to Charlotte NC . Call now (704) 579-5050 for excellent service . At LKN Garage Epoxy Flooring we know that it is hard to keep your garage floor in good condition. Whether it's oil spills, gas spills or just the wear and tear of years of daily use, these harsh conditions will take a toll on the appearance of your garage floor. Our Military grade 2-Part Epoxy garage floor Coating is designed to create a showroom-quality surface. The durable 100% solids epoxy formula offers optimal adhesion and dries to a beautiful finish that protects against gasoline, antifreeze, motor oil, salt and hot-tire pickup. The epoxy surface is then topcoated with polyurethane. We have 16 base colors to choose from and hundreds of color fleck combinations. Our epoxy garage coating has a high gloss finish which offers a beautiful sheen. After we coat your garage floor your friends and neighbors will want to come hang out in YOUR garage! Alpha Canvas and Awning is a 3rd generation family owned and operated business that has been serving the greater Charlotte area with custom awnings and shade structures since 1983. Featuring custom products from fabric & metal awnings to shade sails to canopies and more! Serving residential and commercial clients in the Charlotte area and NC/SC regions. In the late 80's, we also created our Race Products division, which serves to provide professional and amateur race teams in all forms of the sport, with cutting edge waterproof canvas covers and canopies, for all kinds of vehicles and equipment, while still offering representation and marketing solutions for sponsors, with our digital printing capabilities. Having spent nearly three decades as the leader in producing innovative, custom made canvas awnings and race products, Alpha Canopy & Mobile Solutions was the natural next step in our progression. We have identified a need for high quality custom frames, canopies and hospitality units, with an exceptional turn around time. Our entire process stays in house, from design to fabrication, to finished product – a rarity in this industry. This enables us to keep the flexibility needed to create a product that is custom fit to our consumers needs. We pride ourselves with excellent customer service as we work to fulfill your vision for all of your custom canopy needs. Because here, it’s not about the Alpha way, it’s about your way. Antique Reclaimed Lumber is a full service antique wood company. 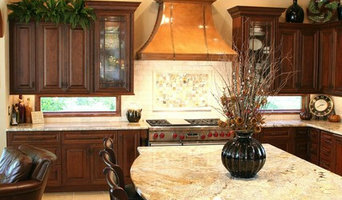 We provide antique wood products and services. 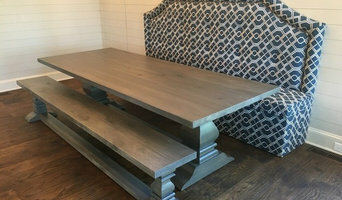 We reclaim antique wood- Barn Wood; custom mill wood into new products such as flooring, paneling, stair treads and more; handcraft specialty furniture such as tables and benches; deliver and install too. Our products include wide plank flooring, barn wood, beams, paneling, furniture and more. Specialty Construction services including hardwood floor installation, stair installation, trim, finish carpentry, install specialty products, site built wood products, refinish floors, finish hardwood flooring and so much more. Whether you’re looking for a team of Denver, NC professionals or a handyman for a small renovation, you’ll find dozens of professional profiles and contact information for specialty contractors here on Houzz. Here are some related professionals and vendors to complement the work of specialty contractors: General Contractors, Landscape Contractors, Architects & Building Designers, Interior Designers & Decorators, Kitchen & Bath Designers. Let’s say you want to install custom wood flooring in your dining room, and you’ve found a Denver, NC company with excellent reviews. Next you’ll want to contact the company and make some inquiries. Find specialty contractors on Houzz. Look in the Professionals section of our website under Denver, NC specialty contractors, then select the nearest metro area for a contractor. You can also look through North Carolina photos of completed projects to see how a contractor might approach design challenges.